Died in Hospital #14 of rubeola. Buried in Grave #A-5018, Nashville National Cemetery with a death date of 27 September 1862. 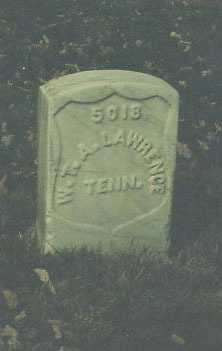 Name listed as William TA Lawrence.